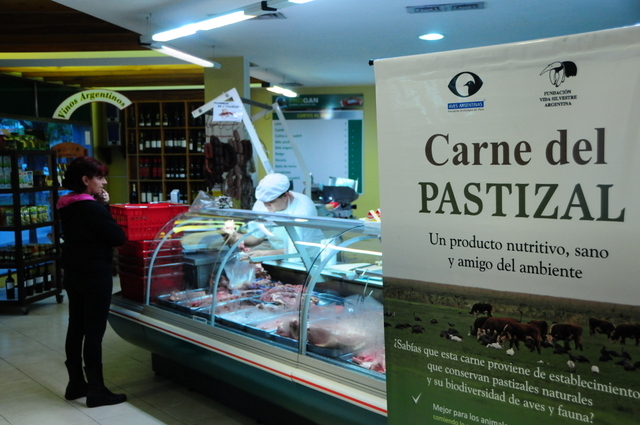 BUENOS AIRES, Aug 7 2015 (IPS) - The traditions of Argentina’s gauchos or cowboys have joined together with modern agricultural technology in a unique alliance between stockbreeders and environmentalists aimed at preserving biodiversity in the pampas, boosting productivity, and enhancing the flavour of this South America’s country’s famous beef. Aves Argentinas and the Argentine Wildife Foundation (FVSA) are carrying out the project “Grasslands and Savannas of the Southern Cone of South America: Initiatives for Their Conservation in Argentina Project”. “We also saw that the grasslands of the pampas are almost all privately owned, there is very little public land, and we necessarily had to work with producers,” Marino told IPS. The project receives financing from the World Bank’s Global Environment Facility (GEF) and support from the National Institute of Agricultural Technology and National Parks Administration. The grasslands “gave rise to a culture represented by the gaucho, but which permeates our entire society, with traditional meals like ‘asado’ (beef roasted over a wood fire) and the need we Argentines feel of open spaces, of being able to see the horizon and the sky,” said Marino. The pampas are also at the heart of this country’s economy. “Grasslands provide a wide range of environmental goods and services, as well as the beef, milk, wool and leather produced by the pasture systems,” environmentalist Fernando Miñarro, the head of FVSA’s Pampas and Gran Chaco Programme, told IPS. The pampas ecosystem, which is home to more than 370 species of gramineous plant species (mainly types of grass), 400 species of birds, and roughly 100 species of mammals – several of which are threatened, such as the pampas deer – is essential in maintaining the ecological balance. The pampas eco-region covers 750,000 sq km in Argentina, Brazil, Paraguay and Uruguay, including 460,000 sq km in several provinces of Argentina. Between 2002 and 2004 alone, these provinces lost 9,000 sq km of grasslands, at an annual rate of over 0.5 percent. The rate of replacement of grasslands by crops was over five percent in some areas. 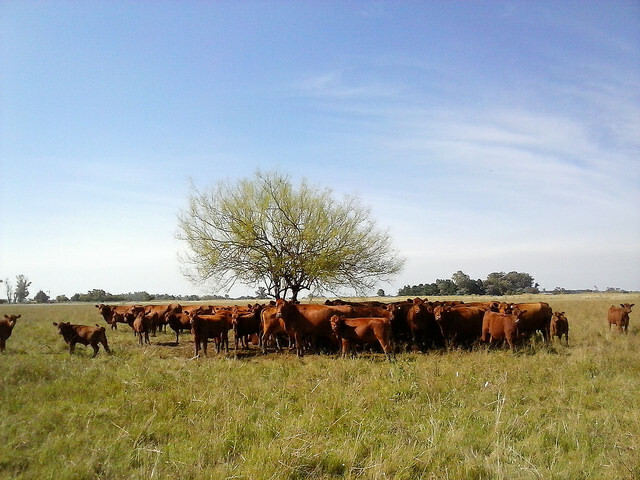 Only one-third of Argentina’s pampas ecosystem was covered with natural or semi-natural grasslands, and a significant proportion of the remaining grasslands was used for stockbreeding. In Uruguay and the southern Brazilian state of Rio Grande do Sul, only 71 and 48 percent, respectively, were still grasslands. In Paraguay, 44 percent of the ecosystem is in a semi-natural or natural state. “The pampas contribute to the maintenance of the composition of the atmospheric gases through the sequestration of CO2 (carbon dioxide) and soil erosion control, and they are a source of genetic material for a large number of plant and animal species which currently constitute the basis of the global diet,” he said. They also play a fundamental role as a supplier of pollinating insects and natural enemies of crop pests, he added. According to Marino, Argentina has lost 60 percent of its grasslands, due to the expansion of intensive agriculture (such as soy and rice production) and commercial forestry, and the urbanisation of the most valuable portions – the areas not prone to flooding. The initiative, which involves 70 producers on 200,000 hectares of land, seeks to salvage traditional livestock-raising techniques of the pampas, perfected by means of new agricultural methods and ecological practices. Marino mentioned rotational grazing and spelling of pastures for part of the peak growing season, and prescribed burning – practices that boost the growth of high-quality forage, he explained. Another technique being used is the creation of small dikes, to retain water during the rainy season. Using these methods they have curbed the growth of exotic plants and stimulated high-quality grass species for the cattle which, at the same time, attract birds like golden plovers (Pluvialis dominica). “This is our most illustrative example. On one hand we are focusing on beef production and on the other we are thinking about the plovers’ quality of habitat,” said Marino, referring to precision livestock farming, adapted to each kind of pasture. Marino, an agronomist and bird-watcher, said that when the project began eight years ago, stockbreeders looked at them as if they were oddballs. And thanks to the changes introduced, their products also fetch higher prices since they now have the grass-fed beef stamp, which open up export markets as well. “Consumers increasingly want to know what the production system is like, and this stamp tells them that the beef is pasture-raised in an ecological fashion that respects biodiversity, and that it has the flavour of traditional Argentine beef, which made us famous around the world,” Marino said. The participating stockbreeders also earn income from bird-watchers, as the programme advertises, provides advice, and trains guides for this ecotourism activity. 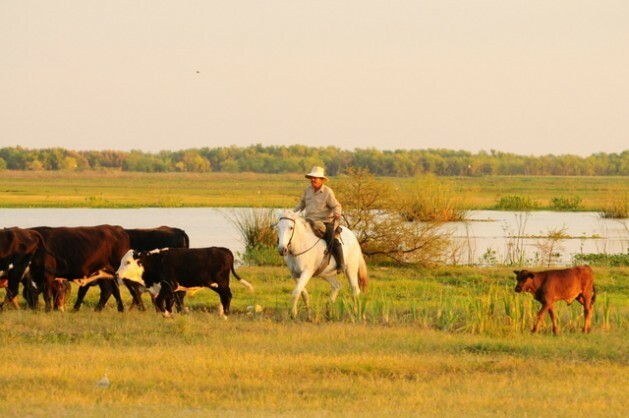 Tiziana Prada owns the San Antonio hacienda – a 4,918-hectare estate with some 2,000 head of cattle in the Esteros del Iberá wetlands in the northeast province of Corrientes, where she is practicing sustainable stockbreeding. This was thanks to the new techniques introduced. “If you know about the growth cycles of the good-quality grass species, you can manage them according to the seasons….always keeping in mind the nesting and breeding seasons of the birds and other animals that inhabit the grasslands,” she said. Moreover, it’s not just about business, she said. “Love of nature is something that rural people carry inside them,” she said. Marino sums up that spirit with a stanza from a song, “El payador perseguido”, by legendary Argentine folksinger Atahualpa Yupanqui: “Estoy con los de mi lao cinchando tuitos parejos, pa hacer nuevo lo que es viejo y verlo al mundo cambiao” (I’m with those on my side all of us pulling together, to make the old new and see the world change). “It’s about returning to traditional stockbreeding, but using today’s technologies,” he said.